Most people living today can’t remember a time when coal was not the primary source of electricity in the United States. That may all change for the next generation. As the world begins to accept that climate change is really happening and that it can potentially have a devastating effect on the entire planet, scientists have been scrambling to find new ways to keep the lights on with renewable energy. The topic of residential wind versus solar energy has been on the minds of homeowners in recent years. Originally, wind power was much less expensive. However, wind turbines were only effective if they were high enough to avoid any obstructions. This ruled out most cities and many suburbs. Rural homeowners were really the only Americans who were able to take full advantage of wind energy. Even so, if they didn’t live in an area where they had strong and dependable wind, the turbines weren’t necessarily cost-effective. Recent reports show that solar panel systems are now less expensive than wind power worldwide. When it comes to solar energy, New York residents find it to be much more cost-effective to install than it was in the past. 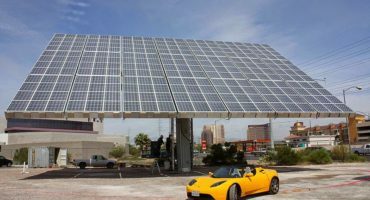 The cost of solar panels has decreased significantly and because the panels require little maintenance, the primary cost is the installation. Studies have shown that people who have solar panels on their homes are able to get nearly all of their energy from them. This greatly reduces the need for coal and, therefore, reduces a single homeowner’s impact on the environment. 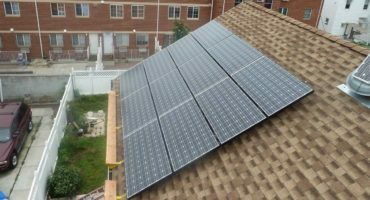 The solar power generated by Long Island homeowners with their solar energy systems helps them save a significant amount of money on their energy bills. Wind power just isn’t feasible in this area, so solar power is the best alternative energy source available. Over time, as technology improves and the United States reduces its dependency on coal, more methods for tapping into natural energy might become available. In the meantime, anyone who has not already installed solar panels on their home should investigate the costs of doing this now and saving a significant amount of money in the future. I consent to gridcitysolar.com storing and using my personal data submitted with this form to get back in touch with me.